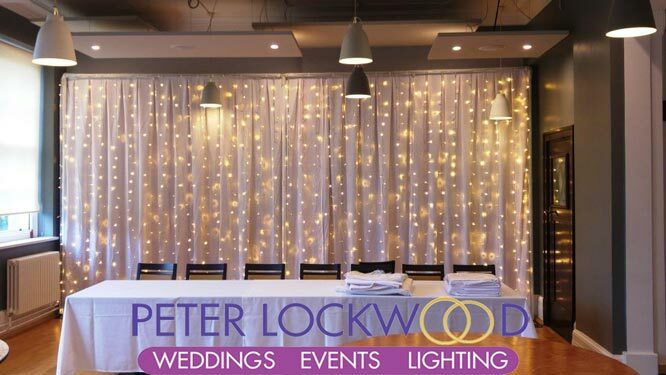 My Semi Naked Backdrop is perfect for weddings and events it goes up to 3 meters high and as wide as you want. 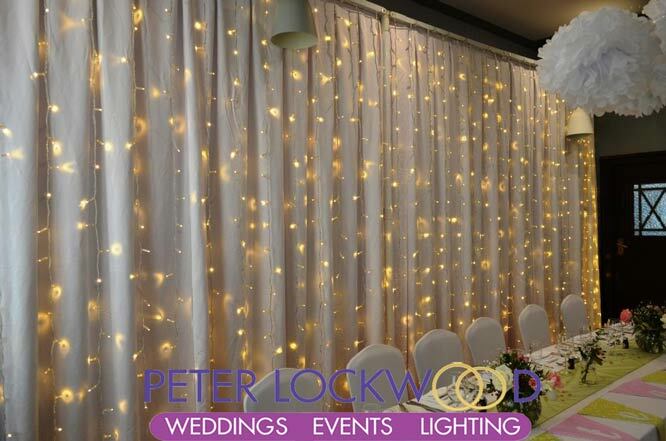 Its all about the fairy lights, by placing them in front of the cloth the fairy lights stand out so much more. I have a black or white frame and black or white drapes to match the frame. 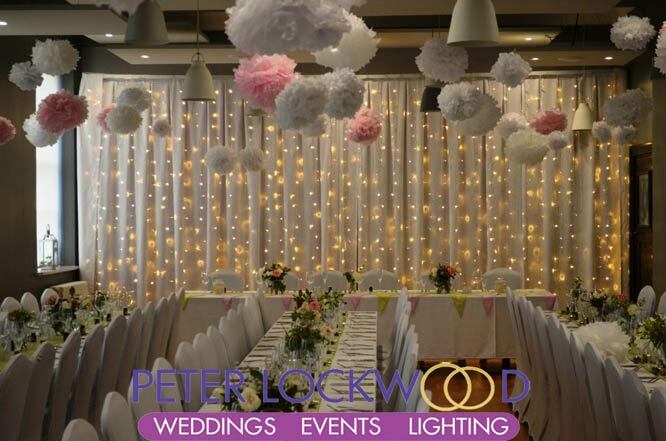 If you want to hide a feature in a room why not add some bling with my Fairy Light Semi Naked Backdrop. 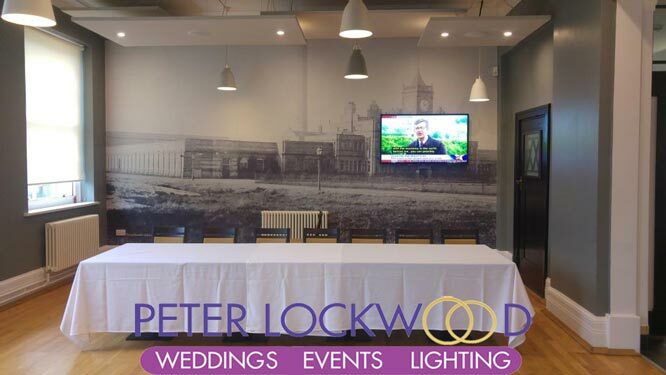 White frame with a white drape backdrop fitted at the back of the frame and warm white fairy lights at the front in Trafford Town Hall. I was very happy with the way it looked so was the bride (that’s the main thing). 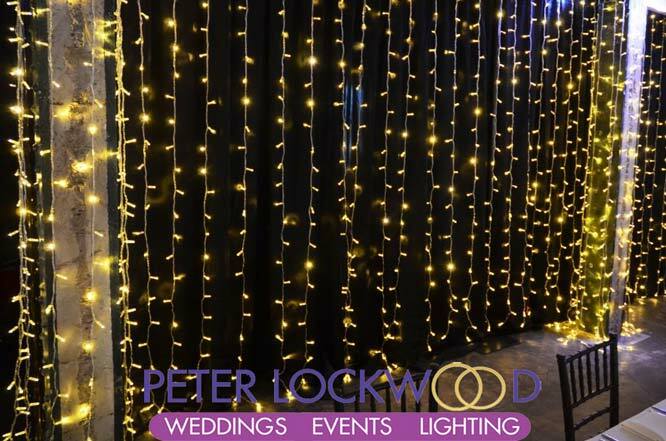 Back frame with a black drape backdrop fitted at the back of the frame and warm white fairy lights at the front in the Bays at Victoria Warehouse. The black brings the fairy lights alive. 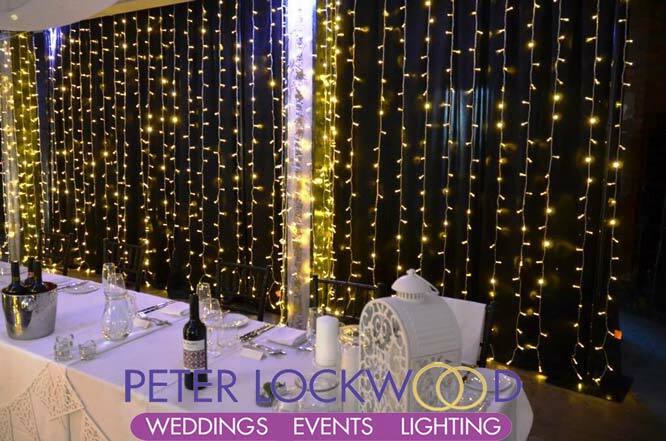 The fairy light backdrop works with the fairy light pillar draping.